Recipe by Naiya Sheth: In earlier recipe we made Brownie but it was made from refined flour. 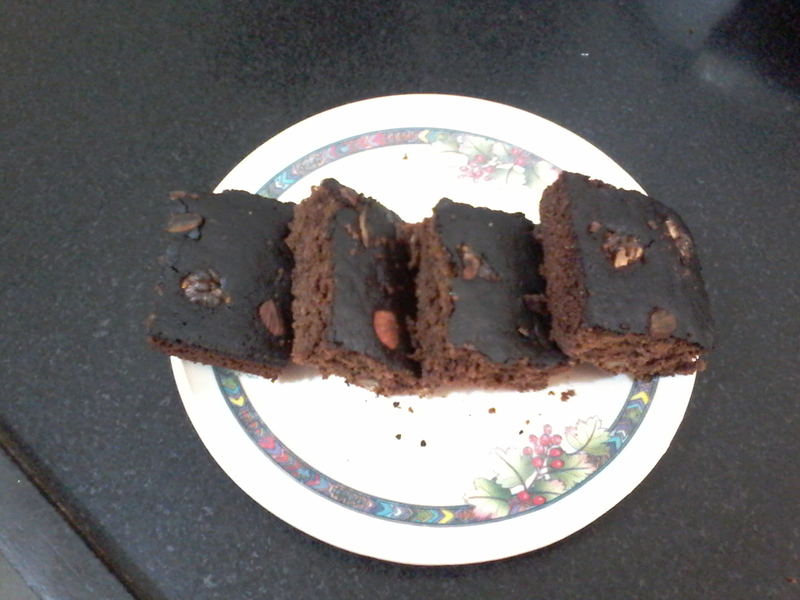 So I tried to make same chocolate walnut brownie with healthy whole wheat flour. And you will not believe it came out very nicely. Actually I used multi grain flour to which I use for roti-chapati. But you can use any one. So lets try this healthy and super delicious home made recipe today. It can be served with ice cream also. Sift wheat flour, coco powder, coffee powder, baking soda and cooking soda together 3 to 4 times. Add crushed sugar 1 cup milk to them. Now add melted butter and mix well. At last add chopped walnut and mix well. Grease and dust cake tin and cover with butter paper. Now pour cake mixture in it. Sprinkle some walnuts on the top and tap. Bake it for 15 to 17 minutes in preheated oven at 180`c temperature. Remove from oven and let it be cool at room temperature. Super delicious Chocolate Walnut Brownie is ready to serve. Serve as it is or serve with vanilla ice cream and chocolate sauce.